We've been working on the garden, it's that busy time of year when the veggie garden needs to be started. Some of my roses have been happy with the weather and blooming. This one is an old-fashioned shrub that requires little care. This particular variety is called Mademoiselle du Brabant. 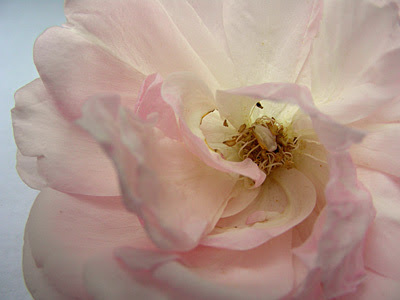 I like roses that not only look good, but are easy to care for (no spraying for bugs or disease) and smell good. The old-fashioned varieties really do the trick, before that I had many failures with hybrids and thought I just couldn't grow roses. Turns out I was just growing the wrong kind. I want them to smell good too. It's one of the things people do when they see roses in bloom, they usually move in to try to smell them. So if they don't smell good, they are not worth growing. A shame because there are some pretty roses out there that don't smell so good, but again, the old fashioned ones usually have nice scents to boot. I must look funny at the nursery when I'm looking for roses, sniffing all of them before I choose which one I want!